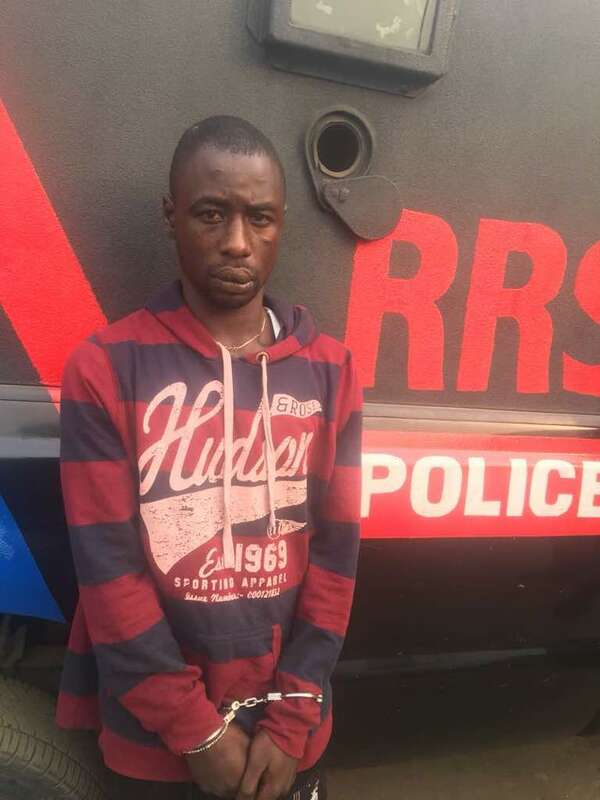 A robbery suspect arrested by the operatives of Rapid Response squad (RRS) of the Lagos State Police Command has confessed that he robbed drunk club – goers of their phones, purse, gold rings and chains every early Saturday morning. The suspect, Nathaniel Peters, 28, was arrested in Abule Egba early Saturday morning during a search for a suspected robber, who stabbed a lady after dispossessing her of her mobile phone. Peters, who was returning from a popular night club in Ikeja around 5:00 a.m. where he had gone to operate, was seen running away while police were searching for a robbery suspect. The Rapid Response Squad officers, who are stationed near Abule Egba Roundabout, heard the scream of a lady shouting for help at around 5: 20 a.m. early Saturday morning. 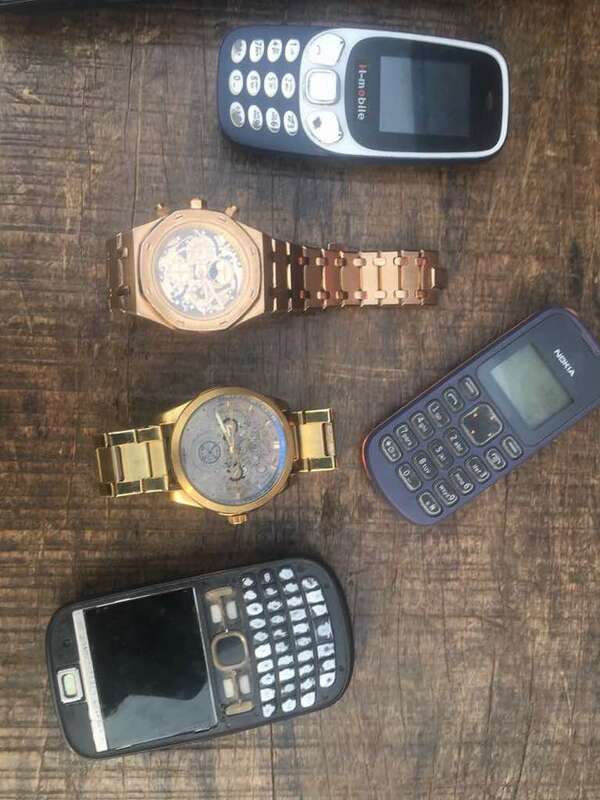 When Peter was arrested, found on him were stolen laptop, three mobile phones, two wrist watches. The lady who was stabbed and robbed confirmed it wasn’t Peter that robbed her. 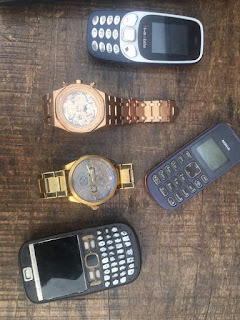 On further interrogation, Peter disclosed that he was coming from a night – club somewhere around Ikeja where he had dispossessed clubbers of the laptop, phones and wrist watches. He added that he had been visiting night clubs particularly those in Ikeja to break into parked vehicles and rob sleeping and drunk clubbers of their valuable. He said, ‘I have been in this business since 2016. My friend, Sheriff introduced me to it. We were both butchers at the Agege Abattoir. At a point, he ran into him after absconding with his boss’s N170,000:00. I ran into him few months later and he invited me to join him visiting night clubs in the metropolis to rob clubbers. He told me it was very lucrative. I have discovered too that it is better than my butcher job at Abattoir. He went further, ‘we start operation around 3:30 when club activities are winding down and clubbers are beginning to dose off. We rob those standing alone, sleeping in car and those that are drunk. We take their valuables from clubbers. We break into cars too. When clubbers are drunk, they hardly feel our hands removing their valuables from their pockets and bodies’. ‘We have a style of removing their gold rings while they are asleep. We sell the valuables to a friend, who takes them to Ghana to resell. But now, I operate alone’, he added. Commenting on the development, the Command Police Public Relations Officer, SP Chike Oti said that Lagos State Commissioner of Police has directed that those involved in the crime be arrested and case transferred to FSARS for more investigations into the suspects activities.